Seeking new mountains to make turns is a noble goal, and as a new resident of Quebec I don’t think I’ll be running out of options soon. 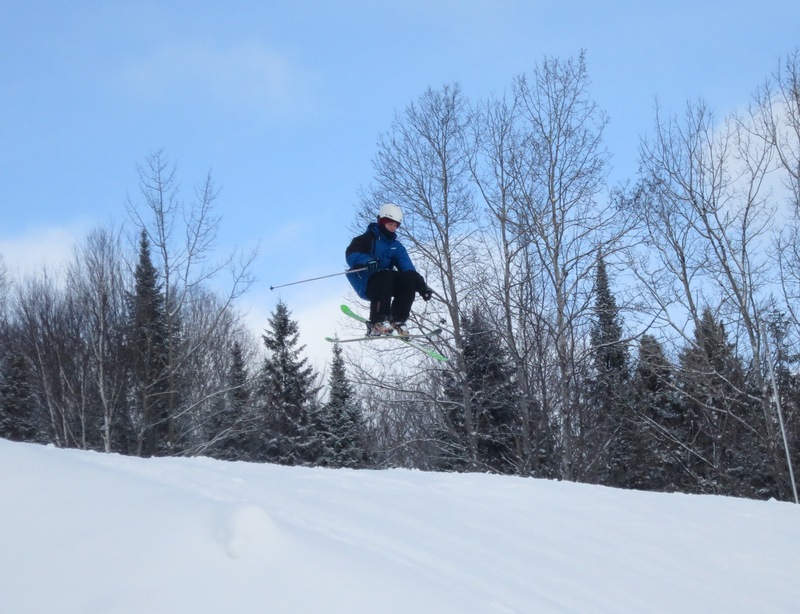 1994 Gold Medalist Jean-Luc Brassard told the CBC that Quebecers are good at skiing because 80% of them live less than an hour from a ski centre. 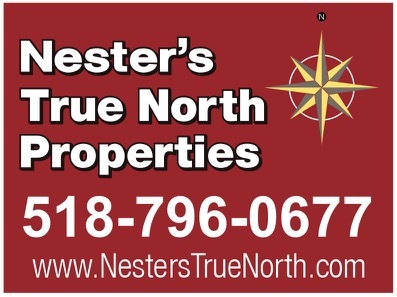 After spending a year here, I think that he is lowballing it. Quebec skiers are very strong and I can’t seem to find a town that doesn’t have a lift running somewhere. I’d always sought deep snow and gnarly liftlines, but as the parent of a future ripper, I’m getting a look at the sport from another angle. Now, instead of fresh tracks I’m looking for fresh veggies; instead of the gnar trees it’s all about the uninterrupted greens. You get the idea. 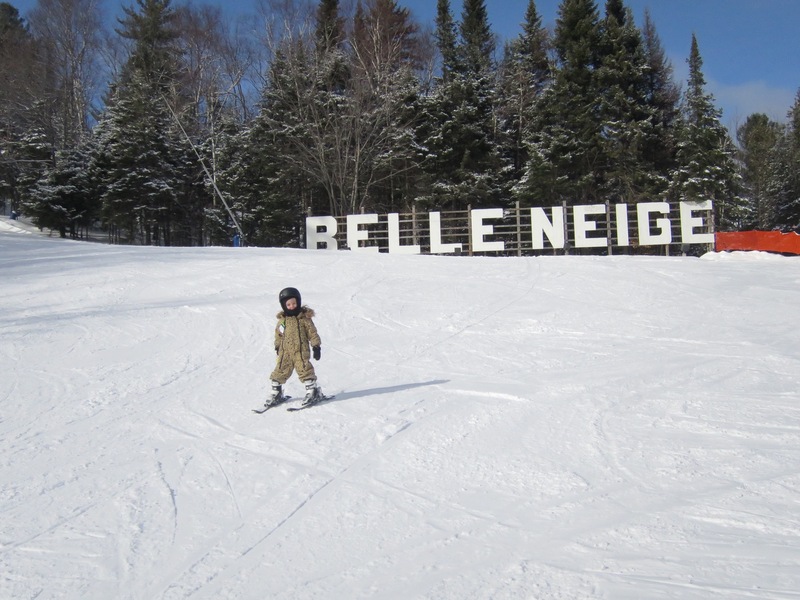 After looking at various trail maps and consulting ski-patrol friends and various Quebecers, I settled upon Belle Neige, a resort that I think had escaped mention. I had passed Belle Neige a few times in the off-season to access the cliffs across the valley at the provincial park. Conveniently located in my favorite Laurentian refuge of Val-David, I wanted to check it out. As a family mountain and more, it didn’t disappoint. I’m impressed at how well the resort is kept, every sign seemed to have been freshly painted. And while the lot was full, it was clear that lines weren’t going to be an issue here. We took a few easy runs up the tapis-magique to make sure we remembered how to turn. My boy spun circles around some big kids, so I headed up the quad with my future slalom champ next to me. From the summit, there were nice looking green trails to either side, so I let him pick. With a waddle to gain some speed, he began his descent, and the thought crossed my mind that it could be the last time I’d see him. He wasn’t in a tuck but his only turns were at the last minute as required by a turn in the trail or the presence of another skier. Slalom would not be his sport, as he made a strong move toward the speed events. 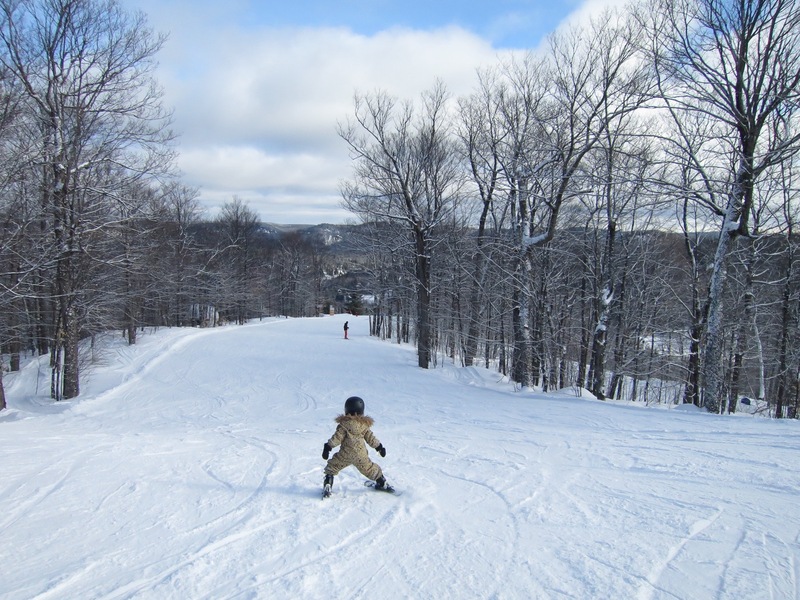 He continued with nary a fall, but by the end of the day he was shutting his eyes on the lifts and asking me to make sure he got off ok, so he could ski more. Just when I thought our day was officially done, he asked me to take him in the woods. I tried to explain to him the importance of turning in the trees, but it was clear the safest thing to do was to pick him up. I hucked an ice-flow and showed him moguled-out woods. 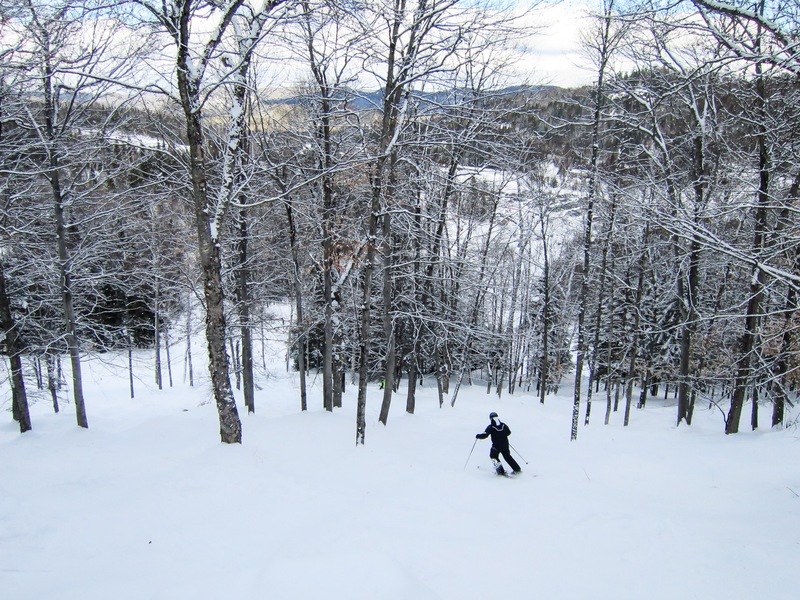 He begged to ski it, so grit my teeth and let him make three turns as the run veered back into a groomer. Somehow he conned me into one more run, and it was worth it. 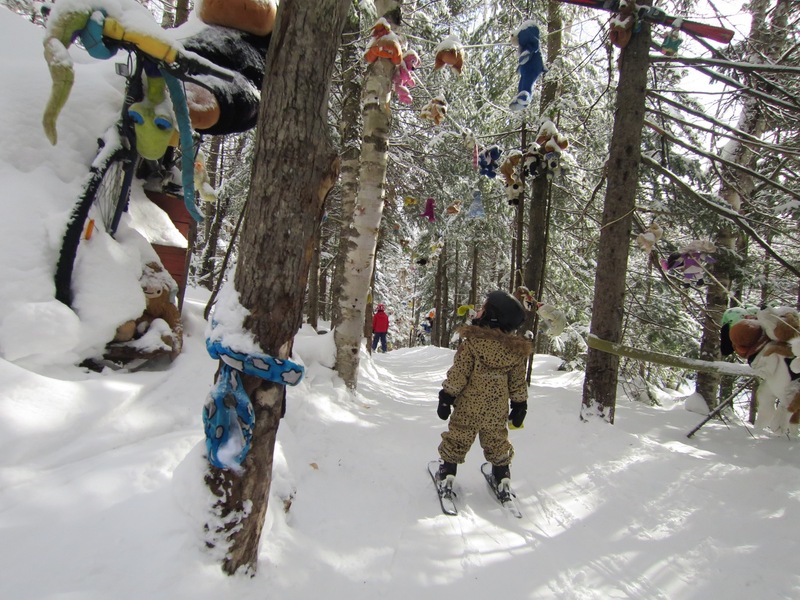 We had discovered something called The Plushies — a little bobsled through the woods — with thousands of stuffed animals strung up on trees, between trees, and in wildly imaginative scenes. He rocked it and then promptly fell asleep in the car. I was free on the ride home to dream about where our next adventure would take us. Outstanding ML. 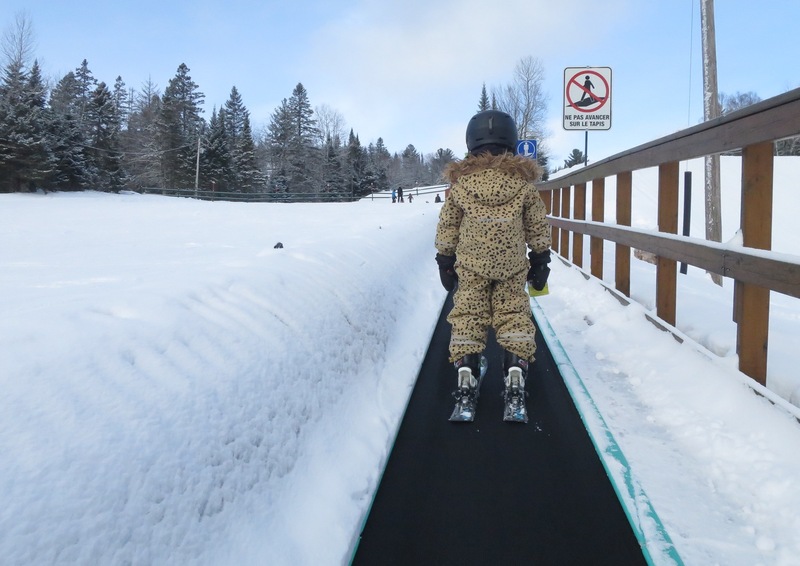 It’s true that you look at ski hills from whole different point of view once you’re responsible for the next generation of rippers. Keep up the good work. ML- its clear to me that you are becoming a Quebecer now that you spell it “centre”. Nice.